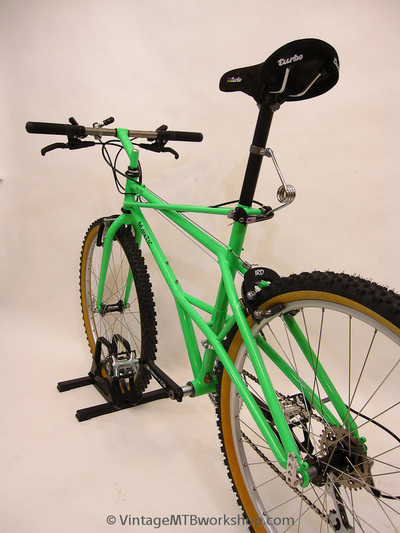 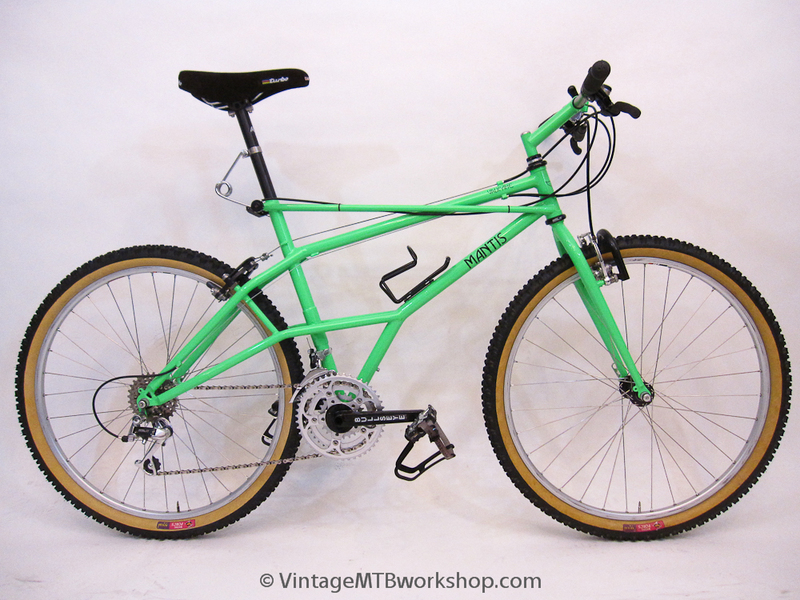 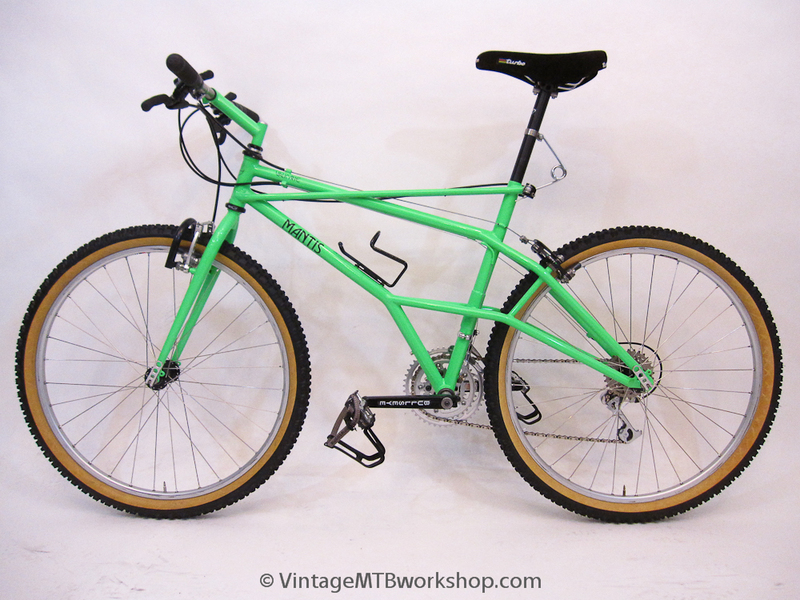 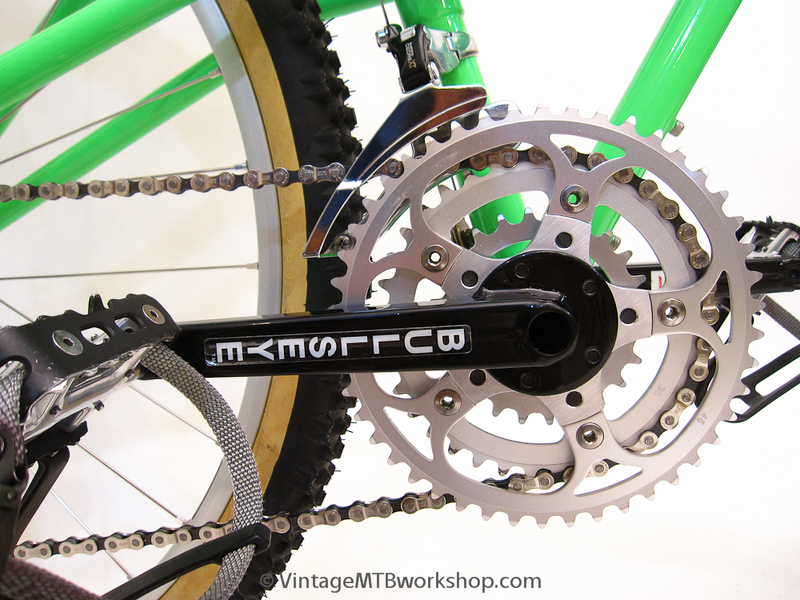 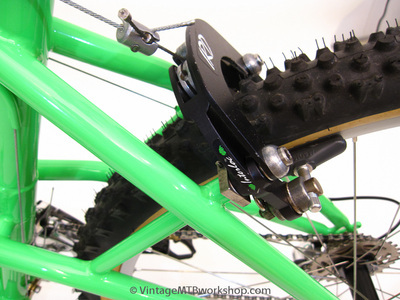 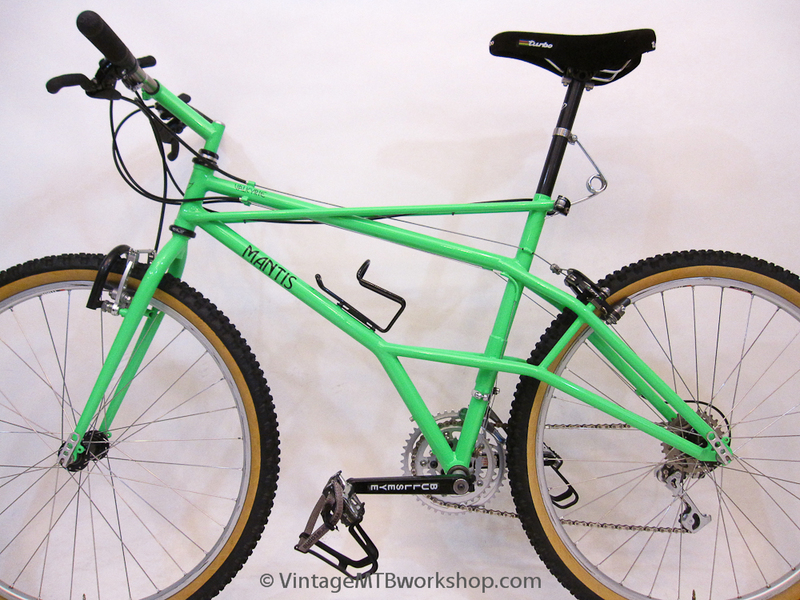 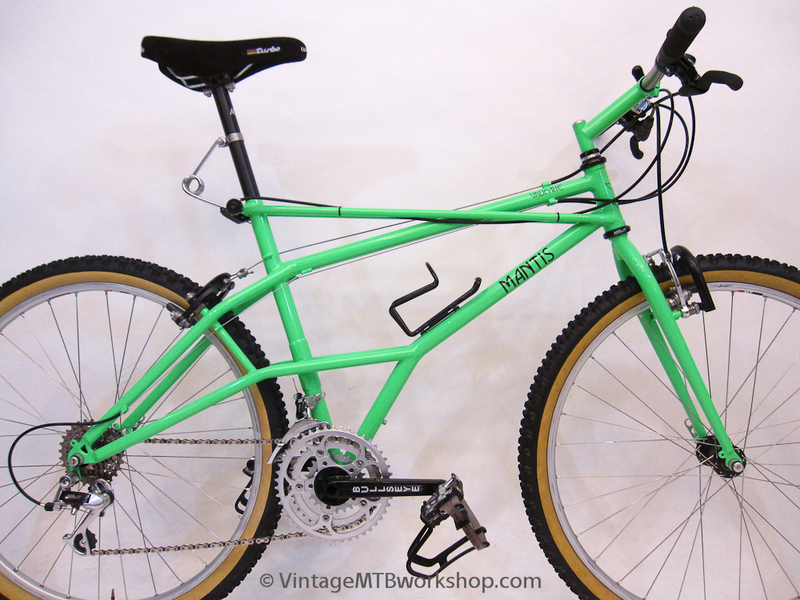 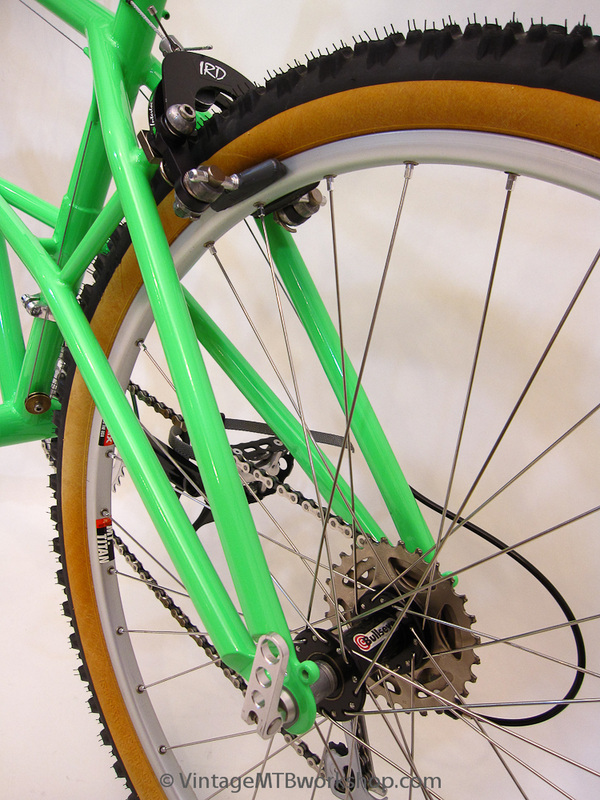 The Mantis Valkyrie became a dream bike for many people after appearances in Mountain Bike Action. 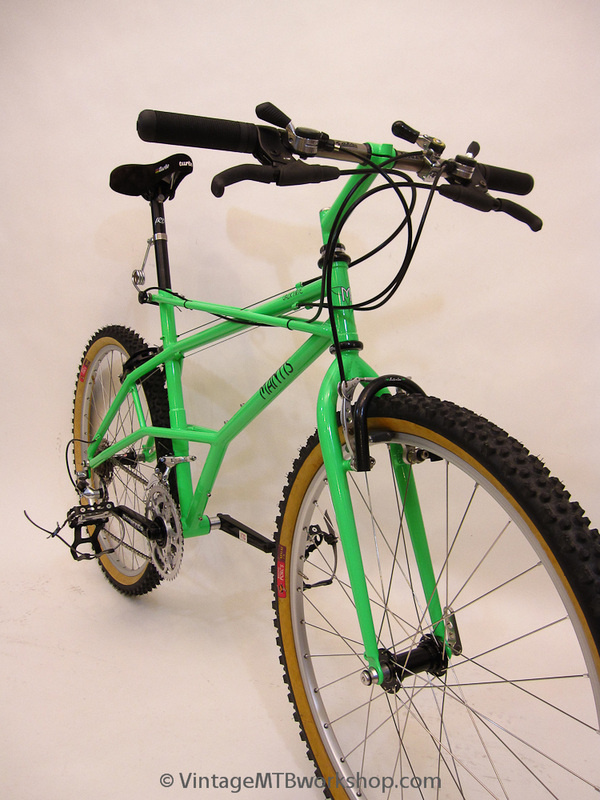 The bike looked so unusual that one would naturally assume that it had to ride radically different than a diamond-framed bike. The idea was to have a frame based on a bridge-like structure that would give a stiffer ride from multiple small tubes. 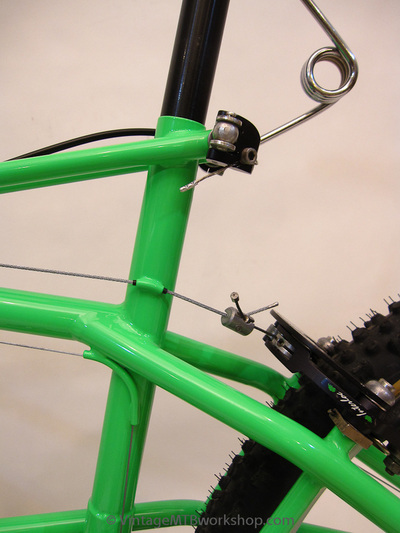 There are cables running everywhere. 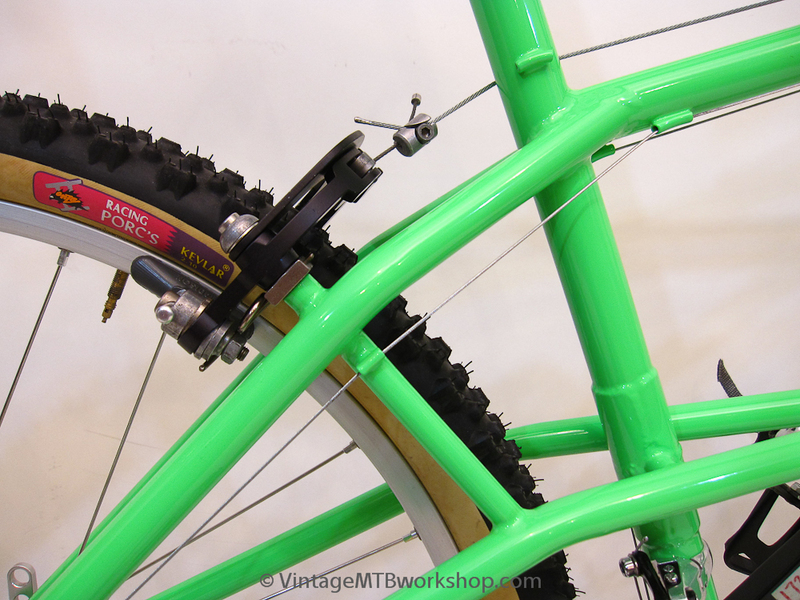 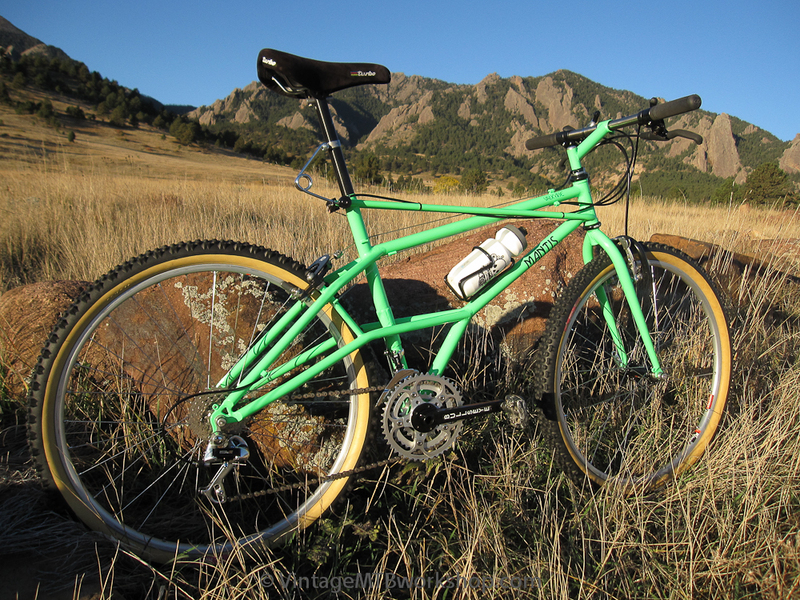 While similar to other elevated chainstay bikes designed by Richard Cunningham for Nishiki, something about owning an actual Mantis seemed more special. 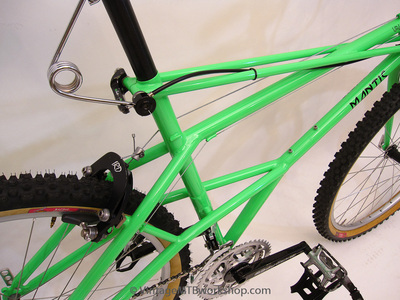 For one thing, Mantis bikes often had unusual paint jobs such as camouflage or graphical patterns. Surprisingly few of these bikes remain, probably because most of them broke. 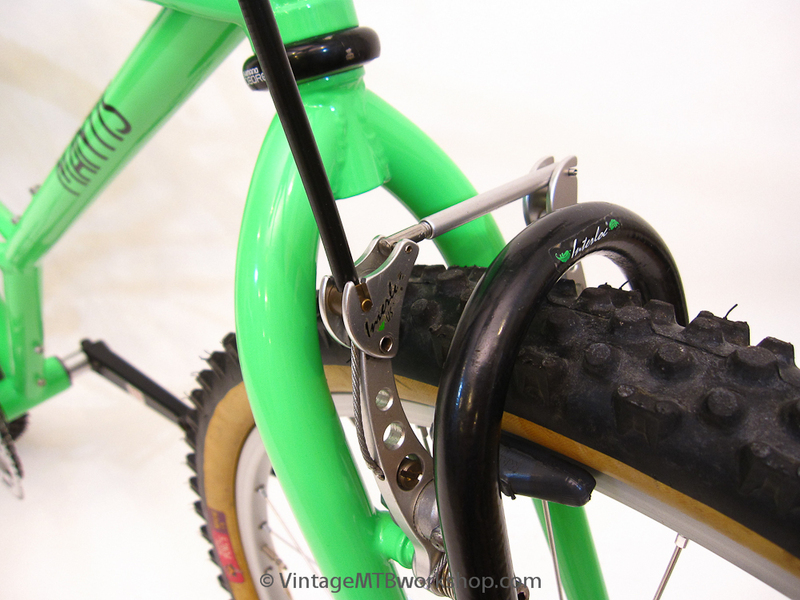 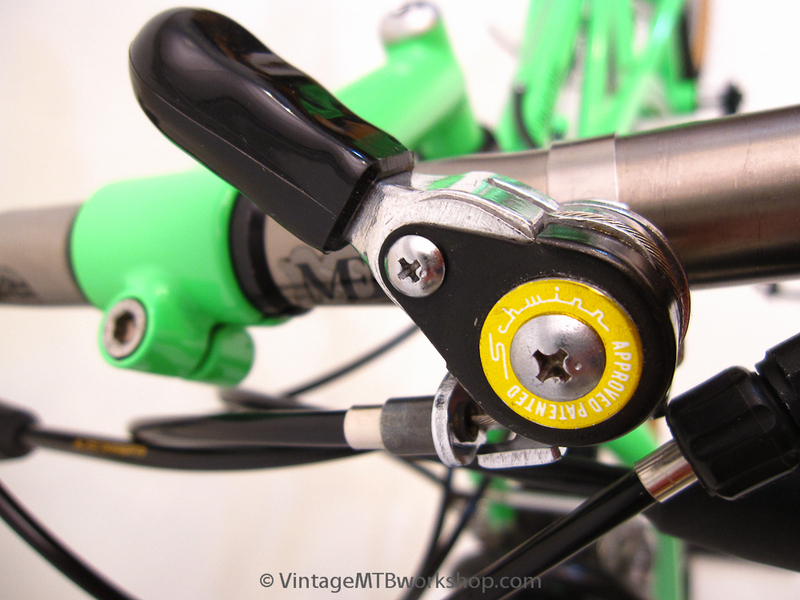 This one has the classic repair to the seattube. 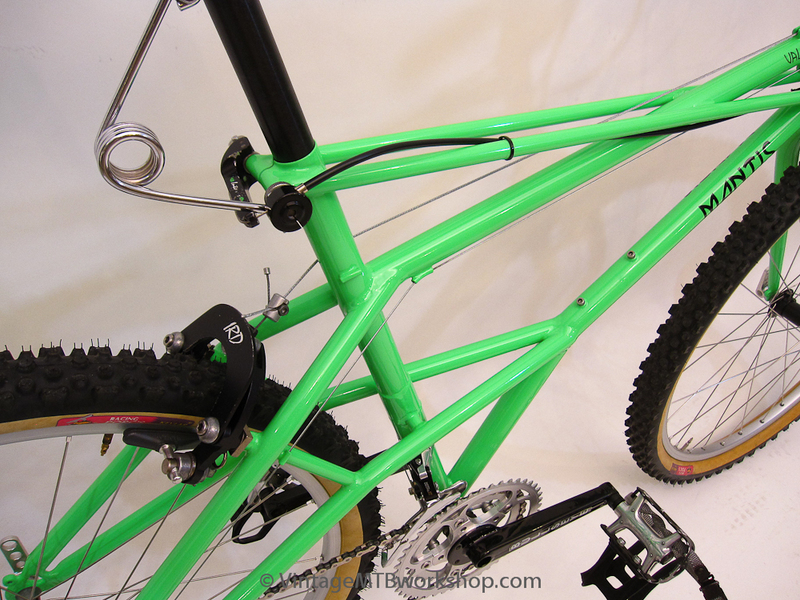 If you don't look down at the frame while riding it, you would be hard-pressed to know it was such an unusual design. 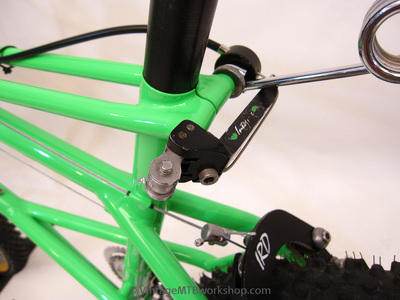 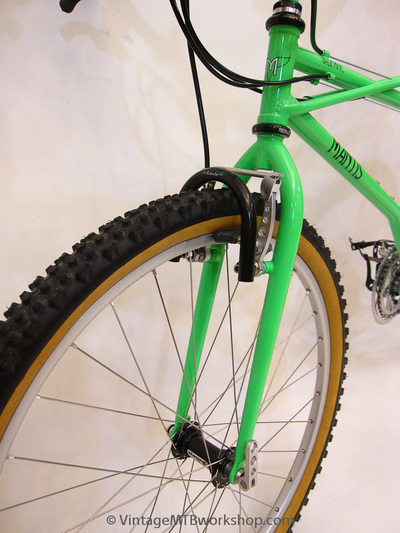 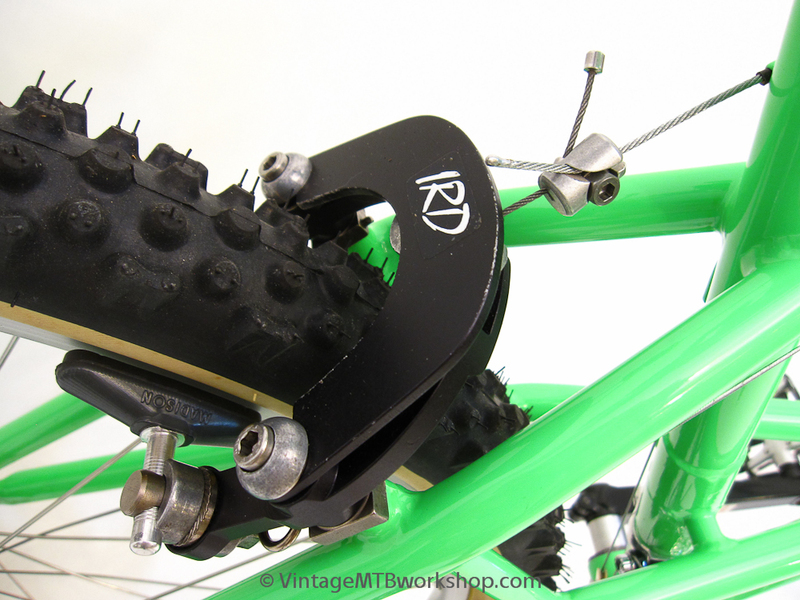 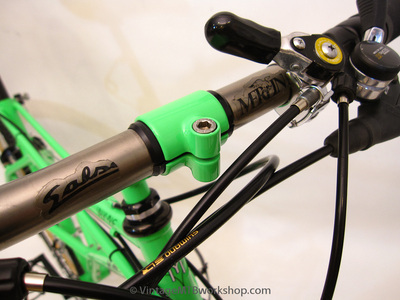 The build is a mix of aftermarket parts from Bullseye and IRD, including the IRD remote seatpost quick release.